Scotland offers a wide variety of visitor attractions, from bustling cities such as Edinburgh and Glasgow to pristine lochs, breathtaking highland regions, and island getaways such as the world-famous Isle of Skye. 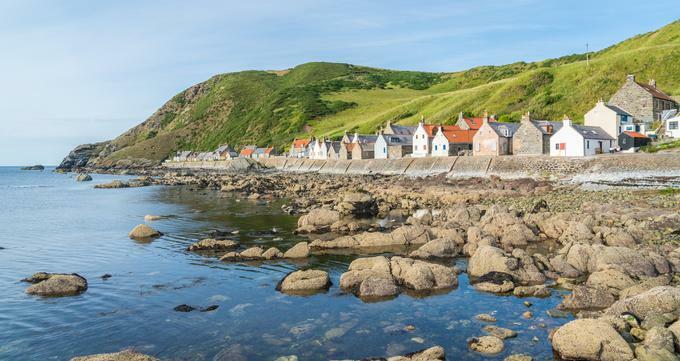 While urban areas offer five-star resorts and hip boutique hotel accommodations, the Scottish countryside is renowned for its quaint holiday rental cottages overlooking beautiful natural sights and charming rolling hills and valleys. Whether you’re looking to escape the hustle and bustle of modern life in an historic property or relax in luxury with top technological amenities, these rental cottages provide the perfect getaway for couples, families, or large groups. Kinlochlaich Tree House is a unique award-winning eco-friendly accommodation in Appin that was constructed in 2007 on the grounds of the historic Kinlochlaich House within its 17th-century walled garden center. The contemporary tree house showcases design features such as a natural lime rendered walls and a locally-sourced slate roof, with ample lighting inside from arched windows and dramatic use of Scottish oak in its interior design. Its open-plan living space features a kitchen, living room, and dining room, with a double bedroom and bathroom accommodating two guests. Children may also stay in the house’s mezzanine gallery, which features single beds and a seating area. Amenities include a Smart television with SONY Soundcube sound system, a hall game table for use for table tennis and ping-pong, and an outside deck with seating and a barbecue grill. The Old Schoolhouse is a part of the Eilean Shona Cottages, which have been noted by The Sunday Times as one of the United Kingdom’s top 20 holiday cottages. The recently-renovated cottage is situated over its own private bay on the North Channel coastal path, offering private luxury accommodations for up to four guests. Private transportation takes guests to the cottage’s island, which is located a 45-minute walk from the jetty dock. A Victorian roll-top bathtub is showcased in the property’s bathroom, and an outdoor shower provides opportunities to freshen up after bay swimming. A large open-plan kitchen and sitting room offers a gas cooker, a coal-burning stove, and a refrigerator. Dogs are welcome at the cottage, though visitors should note that it might not be suitable for children due to its remote location. 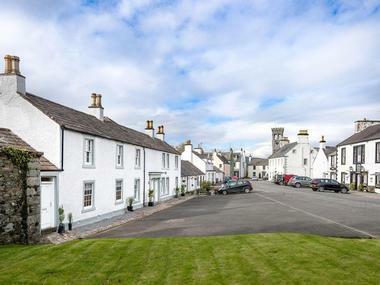 Kirknowe is a traditional 18th-century home that has been fully restored and renovated by famed designer Issy Tennant. The cottage is accessible via a secluded country lane and is situated on a hill overlooking Wauchope Burn and the community of Hobkirk, offering views of the Rubers Law and Bonchester Hill Roman fortresses. Up to six guests can be accommodated in two bedrooms and a sitting room, with a romantic gallery bedroom offering a private bathroom. A fully-stocked kitchen offers appliances such as a microwave and dishwasher, while a barn serves as a shed for bicycle storage for visitors looking to take advantage of the region’s ample opportunities for mountain biking. An outdoor garden also offers seating space and areas for sports and games. 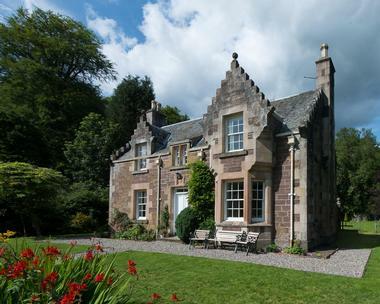 Nearby attractions include the historic Scottish border towns of Hawick and Jedburge. Dunalastair Estate Cottages offer nine private self-catering rental cottages on the grounds of the Dunalastair Highland Estate. 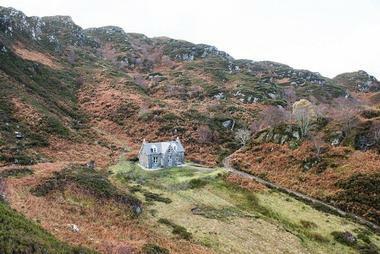 The unique cottages are located near Kinloch Rannoch and were the filming site for the Craigh na Dun scenes in the popular STARZ television series Outlander. Cottage options include the traditional Maragdubh Farmhouse, which sleeps five and offers stunning views of Schiehallion, the three-guest West Drumchastle stone cottage, and the lochside Bridge Cottage, which sleeps four guests. Upgrade accommodations include the six-guest Old Post Office, which offers an enclosed garden area and log fireplace, the 19th-century fairytale castle-style East Lodge, and the four-star Tuim Cottage. Located on the beautiful Monzie Estate, Gardener’s Cottage is a charming, romantic getaway that has been fully restored by the on-site Monzie Joinery. Two bedrooms feature high-quality linens and personal-use bathrobes. There are two bathrooms in the cottage and one bedroom contains a bed that can be converted into two double bed accommodations. A large comfortable living room offers a full DVD library, an open fireplace, and a collection of books and games, while a fully-stocked kitchen features top modern appliances, including a range cooker and a grill. 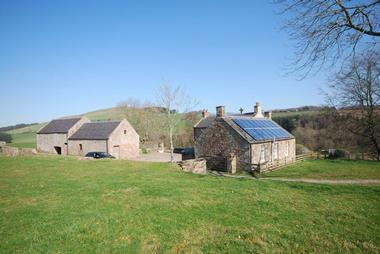 A laundry unit is provided within the cottage’s utility room, and a garden features a barbecue grill and picnic benches. In addition to Gardener’s Cottage, vacationers have a choice of three other self-catering cottages and the five-bedroom Mill House Bed & Breakfast. 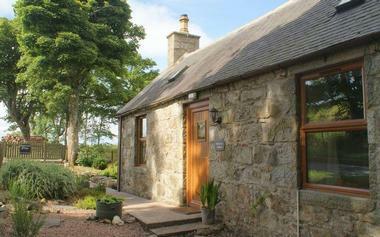 Ampherlaw Cottage is a quaint Auchengray rental home that is located in a wing of the owner’s main house. The one-story home is conveniently located half an hour from Edinburgh, near sites such as the New Lanark World Heritage Site and the market city of Biggar, which is home to a variety of restaurants, cafes, and pubs. The romantic cottage features a wood-burning fireplace within its bedroom, a spacious dining room, and an outdoor terrace with a barbecue grill providing garden access. The property’s fully-equipped kitchen is stocked with locally-sourced produce for visitors, including tea, coffee, and orange juice. 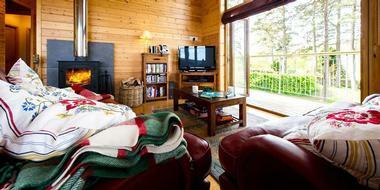 A laundry unit, flat screen television, and free wireless internet are also provided. 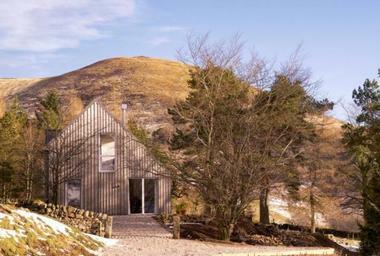 Braes Lodge is a modern log house located in Tomphubil within the heart of Scotland’s Highlands Perthshire. The boutique-style cottage was specifically constructed with couples in mind who desire the ultimate self-catering getaway experience, offering easy access to a number of top attractions in a tucked-away environment nestled among a wooded landscape. The lodge features a gorgeous master bedroom suite with Egyptian cotton sheets, a built-in wardrobe, and access to a hot tub and newly-constructed Clearlight infrared sauna room. Living areas offer a log-burning stove, a 50-inch $K television with a Sonos sound system and an in-house movie collection, and a fully-stocked kitchen with top appliances. Outside, a balcony offers a covered patio, barbecue grill, and gas heater. Visitors should note that children, pets, and smoking are not permitted at the lodge, and that a two-night minimum stay is required. 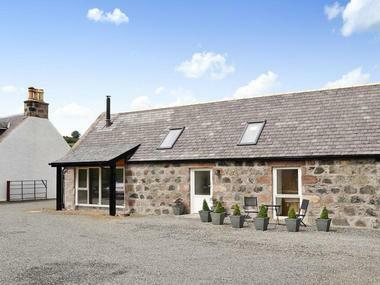 Buttermere Cottage is a charming modern Aberdeenshire cottage located only five miles from the region’s coastline, offering all the comforts of home in a Scottish countryside getaway. 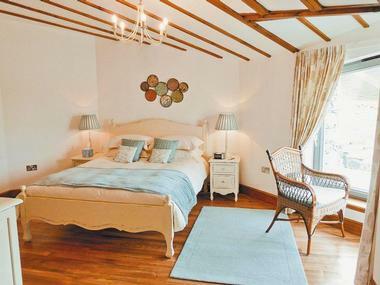 The cottage offers two bedrooms with luxurious 800-thread-count cotton sheets and down duvets, with en-suite shower rooms adjoining each bedroom. The home’s lounge room is decorated with classic Scottish contemporary decor and offers a wide selection of DVDs and a Playstation console stocked with games, with free wireless internet offered throughout the cottage. Its fully-stocked kitchen offers a dishwasher and microwave, while its dining room seats four and can include a children’s highchair upon request. Chestnut Lodge is a one-bedroom privately-owned lodge offering convenient access to nearby attractions such as Pucks Glen and Benmore Botanic Gardens. 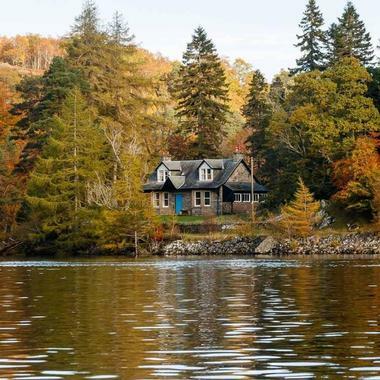 The lodge is a wing of the owners’ private property and offers the perfect getaway for couples looking to explore the Scottish countryside, whether they desire to fish at nearby Loch Eck or explore nearby villages such as Dunoon, Bath, Cirencester, and Cheltenham. Comfortable modern amenities include luxury linens and towels, a fully-equipped kitchen, a living room with television and DVD player, and a laundry unit and dishwasher. All guests receive complimentary passes to use the estate’s ArtSpa, which offers indoor and outdoor swimming pools, a sauna and steam room, a fitness center, tennis courts, and outdoor nature trails. 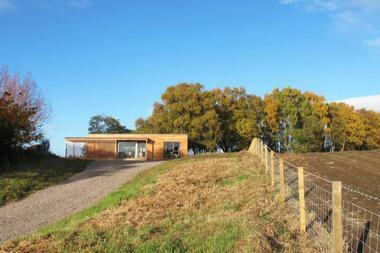 Culbin Edge is a contemporary eco-cabin sleeping up to four guests, located adjacent to the beautiful Culbin Forest, which offers excellent hiking and biking paths for visitors to explore. Beautiful floor-to-ceiling windows are showcased throughout the cabin, which offers an open floor plan, a bathroom with a walk-in shower, a fully-stocked modern kitchen, and a deck with patio furniture and a barbecue grill. Use of the cabin’s hot tub requires an additional fee per night’s stay. Nearby attractions include Brodie and Cawdor Castles, the world-famous Malt Whiskey Trail, and Castle Stuart Golf Links, the frequent home of the Scottish Open. 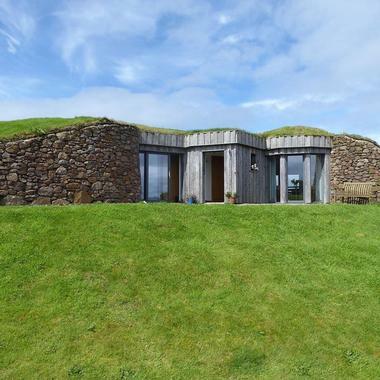 High Trodigal is a five-star cottage in the western Scottish coastal region of Machrihanish, which is renowned for its beautiful beaches, abundant wildlife, and famous golf courses. The luxury self-catering cottage offers stunning views of the nearby Inner Hebrides islands and the ancient hills of Kintyre and features a single bedroom, specifically catering to couples looking for a romantic getaway. A living room area offers two large sofas, a television, a Bose speaker dock, and complimentary champagne and Springbank whiskey, while a fully-stocked kitchen features amenities such as a Nespresso machine, cafetiere, and dishwasher. For an additional fee, a honeymoon box and a gourmet local food hamper can be stocked, and airport or ferry pickup services and itinerary planning can be provided. Knocktinkle is housed within a former 16th-century Georgian schoolhouse building and is named after a hill within nearby Galloway Forest Park. The dog-friendly cottage sleeps up to four guests and offers two bedrooms with ample wardrobe space and two bathrooms with walk-in showers and baths. On the ground floor, a living and dining area offers a 32-inch Smart television equipped with Netflix and a Bluetooth speaker, while a fully-stocked kitchen offers an electric oven, microwave, dishwasher, and laundry unit. 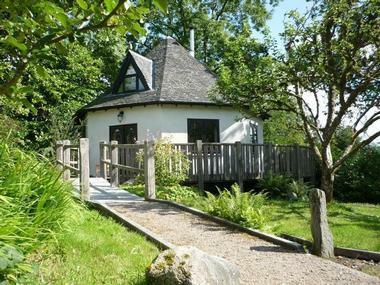 The cottage is located within the Gatehouse of Fleet village, which showcases attractions such as the Mill on the Fleet exhibition center, Cardoness Castle, and the Laggan Outdoor Activity Center. Nearby several beaches offer scenic coastal views and outdoor activities, and Galloway Forest Park is home to Europe’s first official Dark Sky Park. 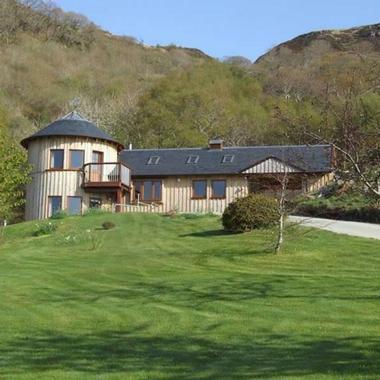 Lochside Follies offers self-catering cottages in the Ardnamurchan peninsula, located between the villages of Kilchoan and Salen near the beautiful Loch Sunart. Four cottages are available within the West Coast Highlands resort, including the two-person-accommodation The Ruin, which can also sleep two children if needed. The restored croft house and its adjacent byre showcase ancient stone walls, an open-plan layout, and amenities such as a wood-burning stove, a television with Sky Freeview, and an outdoor terrace with a gas barbecue. Two guests can be accommodated at the romantic Tower, which showcases a unique layout within the estate’s main building, including winding wooden stairs, a circular bedroom, and a beautiful overlook balcony. The Folly sleeps two guests and is set on 80 acres of countryside, overlooking waterfalls and woodland areas in the Morvern Hills, while The Loft is located within a converted store-up and offers a king-sized bed, a fully-stocked kitchen, and beautiful views from full-height dormer windows. 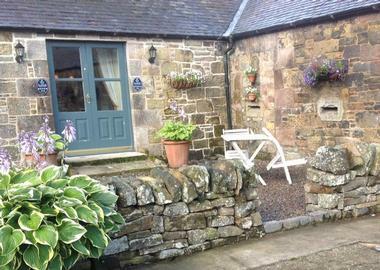 Longcroft Dairy is a renovated stone barn located within the heart of the beautiful Aberdeenshire countryside, providing comfortable accommodations for up to two guests. The cottage is decorated with antique milk bottles from the barn’s former operation as a dairy and offers an open-plan living space featuring a king-sized bed, private bath suite, fully-stocked kitchen, and living room with a Sky Freeview television and DVD player. A shared courtyard with the owner’s residence offers an outdoor seating areas, and private parking is offered for a single car. Nearby, the Bennachie hill range offers a variety of hiking and cycling trails, and the cities of Inverurie, Huntly, and Old Aberdeen contain a myriad of quaint shops and restaurants. Mid Balchandy Cottage is perfect for visitors looking for a getaway still in the heart of it all, located less than four minutes from the A9. The two-story cottage offers a fully-equipped kitchen with an Aga Rangemaster dual fuel cooker, a Nespresso coffee maker, and an integrated dishwasher, a dining room that seats up to eight people, and a living room with an adjoining barbecue deck area. Upstairs, two double bedrooms offer super king-sized beds, Egyptian cotton linens, and en-suite bathrooms and televisions. 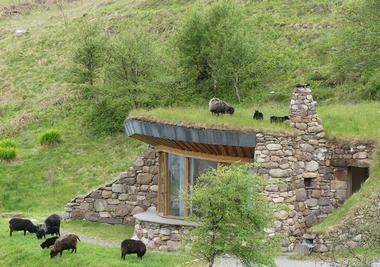 A second accommodation, The Bothy, is also offered on site, sleeping two as a cozy couples’ retreat. Both cottages are stocked with locally-sourced produce and a welcome pack of staples such as tea, coffee, bread, and homemade marmalade. Oystercatchers is a gorgeous one-and-a-half-story holiday house located on the Isle of Skye, voted as the world’s fourth most beautiful island getaway by National Geographic magazine. 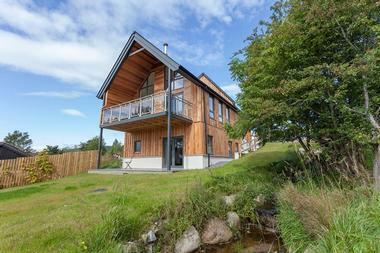 The 1902 home is less than 10 minutes from the Skye Bridge but is tucked away from the A87, offering a true island oasis for up to six guests. It has received Visit Scotland four-star status for amenities such as its wood-burning stove, HDMI-equipped televisions, spacious master bedroom suite, and fully-stocked kitchen with top appliances. Outside, a garden and seating area offer a fire pit, Weber barbecue grill, and a shed with patio furniture and games. Unparalleled views of Broadford Bay and the Ardnish Peninsula are offered, with launch sites for kayaks and canoes available. 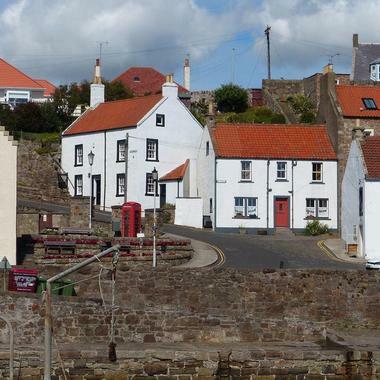 Sandcastle Cottage is an inviting holiday home tucked away within the East Neuk of Fife, located less than 10 miles from St. Andrews University, making it a perfect spot for visiting relatives or those simply looking for a taste of the quaint Scottish fishing village life. The cottage sleeps up to five guests in two bedrooms, with one bedroom featuring an en-suite bathroom and stunning views of nearby Roome Bay. Its living area is decorated with seaside-themed decor and showcases oak tables, a television and DVD player, and a selection of books and games for visitor entertainment. A fully-stocked kitchen and large enclosed garden with a patio are also offered. Stationmaster’s Lodge is the ideal spot for large vacation group getaways, sleeping up to 18 guests in comfortable modern accommodations. 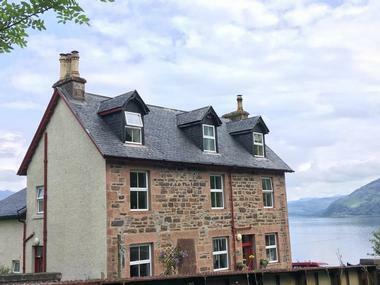 The self-catering lodge is located within a grand stone highland house that offers amazing views of nearby Loch Carron and is pet and child-friendly for those traveling with the whole family in tow. Eight bedrooms are spread out over three stories, with half featuring en-suite bathrooms and showers. An open-plan lounge offers a log-burning fireplace and a dinner table seating up to 17 that converts into a table tennis and pool table. The home’s kitchen is fully stocked with modern amenities, including an oven and hob and cooking equipment for all types of meal preparation. Nearby, the villages of Balmacara, Lochcarron, and Kyle of Lochalsh offer quaint shops and restaurants, and the beautiful Isle of Skye is noted for its picturesque fishing spots and historic attractions. Strathspey Lodge is a family-friendly Scottish Highlands retreat located in the hamlet of Dunhill near Cairngorms National Park, offering luxurious getaways for nature lovers seeking outdoor adventure. The lodge sleeps up to eight guests in four bedrooms and is furnished with bespoke furniture and pieces by local artists, creating a stylish atmosphere within its open-plan floor plan. A living room area offers a 49-inch Sky Smart television, a Bose sound system, and a wood-burning fireplace, while a fully-stocked kitchen provides a Nespresso machine, a combination microwave and grill, and a dishwasher. Other amenities include a reading library, a nursery family room, and a large outdoor garden and patio. In addition to the activities of the National Park, the area boasts a wide range of visitor attractions, including the Cairngorm Mountain Railway, the world-famous Castle Stuart Golf Course, and the Malt Whiskey Trail, which highlights seven notable distilleries. The Brochs of Coigach offer accommodations within two historic replica Iron Age roundhouses stocked with eco-friendly modern amenities. The roundhouses have been featured in publications such as Red Magazine and MERIAN as top United Kingdom getaway spots and have been honored among Scotland’s best new buildings by the Royal Incorporation of Architects. Scàl's Broch offers an open-plan kitchen, a spacious dining and living room area, and a luxurious master bedroom and bathroom suite decorated with pieces by Scotland’s top artists. 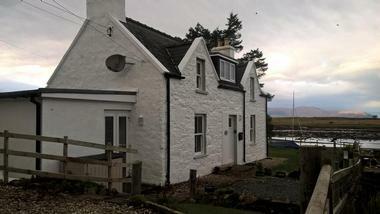 Gille Buidhe's Broch offers accommodations for families, featuring two bedrooms and two separate sitting rooms. Though the brochs do not offer televisions, free wireless internet is provided for device use. 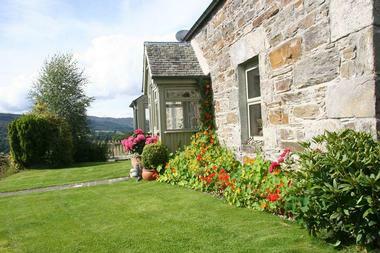 The Bullpen is a self-catering cottage located at Stranraer’s Spoutwells Farm, overlooking the beautiful Galloway countryside. 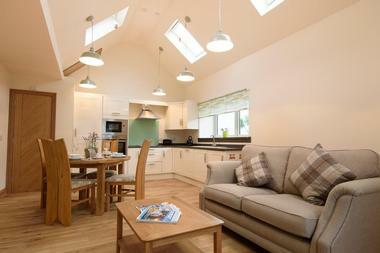 The modern cottage was opened in 2017 and is available for rental year-round, featuring a double bedroom with adjoining bathroom, an open-plan dining and lounge area with a 4K high-definition television, and a fully-stocked kitchen with an electric hob, a dishwasher, and a microwave. 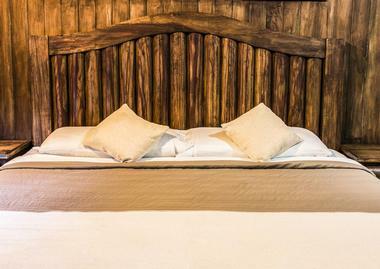 A private hot tub is offered for guest relaxation, and a cot is available upon request to sleep an additional guest. Convenient access to top area attractions is provided, including the golf courses, gardens, and loch fishing opportunities of the Rhins and the Mull of Galloway. Westside Woodshed is an adults-only self-catering luxury getaway near the heart of it all, located just 10 miles from downtown Edinburgh near Pentland Hills Regional Park. The architectural timber cottage is incorporated into its surrounding landscape and features original stone walls, creating a rustic atmosphere perfect for couples looking for intimate romantic accommodations. It has recently been honored by the Saltire Society’s Housing Design Awards and showcases whitewashed wood panels, minimalist decor, and Scandinavian design elements. On the ground floor, an open-plan kitchen features a folding dining table, while upstairs, a private bedroom features a king-sized bed with bedding designed by a local artist. Amenities include a television with Blu-Ray player, a Bluetooth soundbar, and free wireless internet access. Whitefalls Spa Lodges are one of the United Kingdom’s most renowned luxury cottage getaways and are the recipient of numerous travel awards, including the Scottish Thistle National Award for best self-service accommodations and the European Holiday Home Awards for the best health and wellness holiday home. The five-star lodges were specifically designed with couples in mind, featuring exclusive en-suite private spas with saunas, rain showers, chromatherapy mood touch lighting, and Kohler Riverbath whirlpool tubs. An open-plan living area offers a 42-inch LCD television and DVD player, while a fully-stocked kitchen and dining area allow for all types of meal preparation. 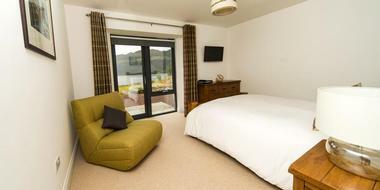 All bedrooms feature Superking beds, remote-controlled blackout blinds, and en-suite dressing areas. Avernish Lodge is located along the banks of the peaceful Loch Alsh, offering a perfect getaway miles from the hustle and bustle of city traffic. The spacious lodge overlooks Eilean Donan Castle and features an open-plan living and kitchen area creating a communal space for guests to cook, watch television, and relax in each other’s company. Two bedrooms sleep up to four guests, with large bathroom and laundry suites located on the ground floor for convenient access. Luxury amenities include a log-burning stove, Sky TV-equipped high-definition television, free wireless internet, and private patios off each bedroom showcasing spectacular views of the Scottish Highlands. The lodge is available for booking year-round, including major international holidays, though visitors should be advised that it books early during the summer season. Beach Bay Cottage is a single-story natural stone and turf cottage that is constructed directly into the Mangersta hillside, meant to evoke ancient Neolithic cottage designs. The two-bedroom home offers direct beach access just over 100 yards from its front door, with a spectacular 180-degree bay window providing gorgeous views even from inside the house. Cottage amenities include three satellite televisions, a cozy two-person sauna, an enclosed garden with a patio and barbecue grill, and a laundry unit and dishwasher. For visitors interested in soaking up the surrounding sights, the beach offers stunning views of the nearby Red River, which is full of salmon and sea trout for fishing, and is a prime spot for photography and wildlife watching. Nearby tourist adventures include the Auberge Restaurant, the Abhainn Dearg Distillery, and the St. Kilda World Heritage Site.